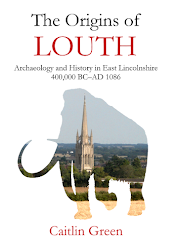 The aim of the following post is simply to share a map that I produced recently whilst looking at some of the Viking-era finds from Torksey in Lincolnshire. 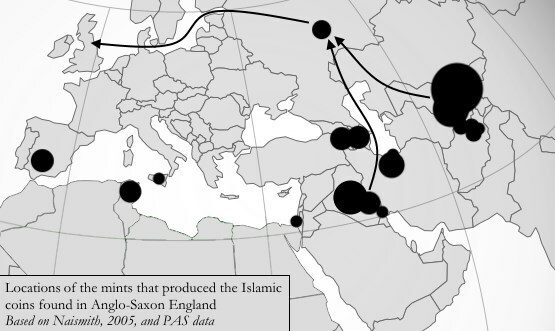 The map in question depicts the distribution Islamic dirhams (silver coins) in Anglo-Saxon England and is based on PAS and EMC data collected in December 2014, supplemented by the pre-PAS/EMC finds catalogued by Rory Naismith in 2005—these three sources were then cross-checked against each other and duplicate entries and the like were removed before the map was plotted. The distribution of Islamic dirhams (silver coins) in Anglo-Saxon England; click for a larger view of this map (drawn by C. R. Green). 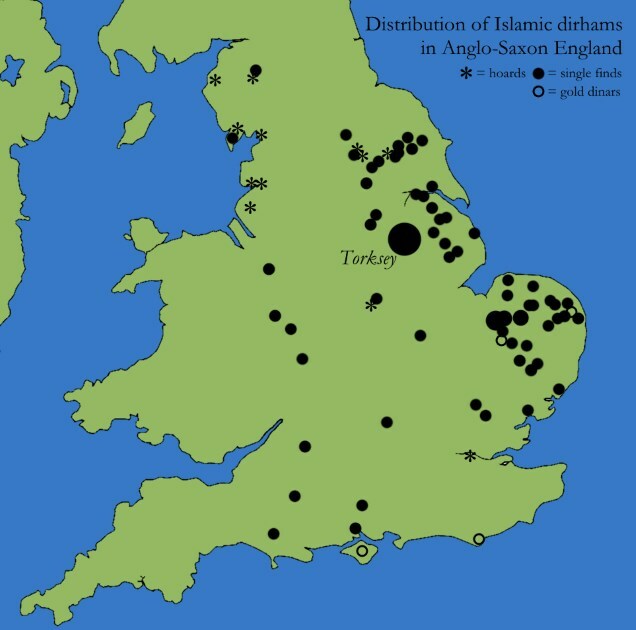 Also depicted on here are the locations of the few Islamic gold dinars known from Anglo-Saxon England and the location of Torksey, Lincolnshire. Several points can be briefly made with regard to the distribution of these finds. 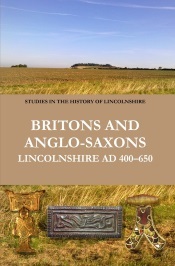 First and foremost, the distribution of single finds of Islamic dirhams in Anglo-Saxon England is focussed on the Danelaw, and many of the coin found here have been cut, nicked or hacked apart in a manner characteristic of their use as part of the Viking bullion economy. 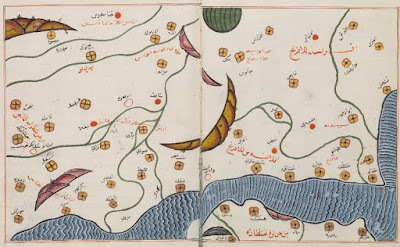 Such a situation is unsurprising—Islamic dirhams are extremely common in Viking-age Russia and Scandinavia, and the vast majority of the coins found in England are very likely to have arrived here via these areas. A probably ninth-century Islamic silver dirham found at Torksey, cut into a quarter to provide a smaller unit of exchange in a Viking bullion economy (image: PAS). Locations of the mints that produced the Islamic coins found in Anglo-Saxon England, with an indication of the proportion of the total corpus that came from each mint and the likely route that many of these coins took to reach England (drawn by C. R. Green). 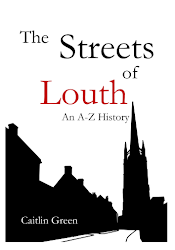 Second, a significant proportion of the single finds of silver dirhams come from a single site, that at Torksey, Lincolnshire—for example, 57 of the 80 Islamic coins recorded by the PAS come from this site, with over 100 known in total from here. 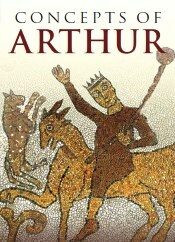 The reason for this concentration of finds at Torksey is that the Viking 'Great Army' overwintered at Torksey in 872–3 and the dirhams come from their camp site, which was located on a high cliff overlooking the River Trent and has been thoroughly investigated by metal-detectorists in recent years. Third and finally, a small number of Islamic gold dinars of the eighth, tenth and eleventh centuries are known from England. These items are much rarer than the silver dirhams and are thought to be indicative of a degree of knowledge of Islamic coinage in Anglo-Saxon England separate to the influx of silver dirhams that came with the Vikings. Perhaps the most eloquent testimony to a pre-Viking Anglo-Saxon knowledge of Islamic coinage is the gold dinar struck by Offa of Mercia in the later eighth century, which closely copied a dinar of the Abbasid caliph al-Mansur struck in AD 773/4. This coin, shown below and procured in Rome in the nineteenth century, is the only surviving example of this issue and may have been one of the 365 mancuses (a word that probably refers to Islamic dinars) that Offa agree to pay to the papacy every year. Alternatively, it may have been produced for use in overseas trade, and in this context it is worth noting that the coin has clearly circulated and is not in mint condition. In either case, its existence necessarily implies the presence of its prototype here and so constitutes additional evidence for the importation of Islamic dinars into pre-Viking England, above and beyond the finds of such coins that have been made here. An eighth-century coin of Offa, Anglo-Saxon king of Mercia, copied from a gold dinar of the Abbasid caliph Al-Mansur struck in AD 773/4. Note, the legend OFFA REX is upside down relative to the Arabic (image: Wikimedia Commons).